There are currently 6 Carriers offering own specialty disability insurance and we shop with all of them: Guardian, Mass Mutual, Principal, Ameritas, The Standard, and Ohio National. Disability Insurance is an essential element to every physician’s financial wellbeing. Unlike most other white collar professionals, disability is most important to those in the medical field. You are highly educated, trained, on your feet, and working with your hands 40+ hours a week. You are not simply working 9-5 behind a desk in a low risk field all day. Unfortunately, it has become very expensive for physicians to obtain and maintain true “own specialty” disability coverage. 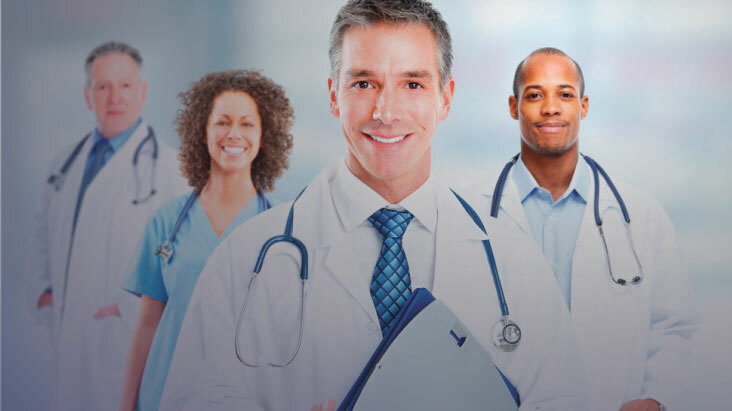 Because of the work being done at the Doctor Disability Shop all physicians are eligible for an exclusive discount to purchase individual “own specialty” disability insurance. 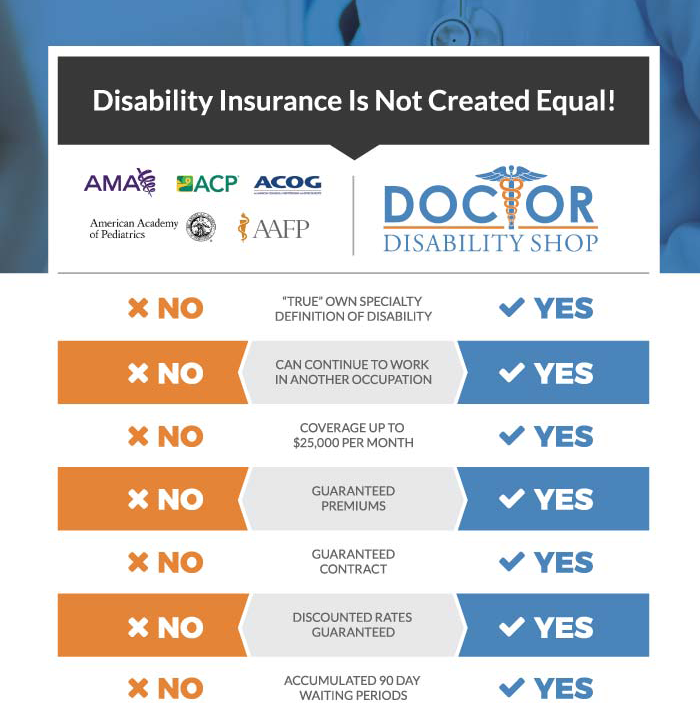 Please view the comparison chart to view the Doctor Disability Shop. We only work with physicians so we know your time is limited. We will provide you with objective advice so you can select the own specialty disability insurance plan that is right for you. Once you have decided what plan works best, applying is easy and only takes 10 minutes. No paperwork to complete or pages to sign, everything is electronic for the purpose of saving you time. Own Specialty coverage protects doctors from the inability to perform the material and substantial duties of their specialty. It does not limit you from continuing to work in your specialty in a different capacity, nor does it limit you from working in a different occupation entirely.